Product prices and availability are accurate as of 2019-04-12 06:03:22 EDT and are subject to change. Any price and availability information displayed on http://www.amazon.com/ at the time of purchase will apply to the purchase of this product. 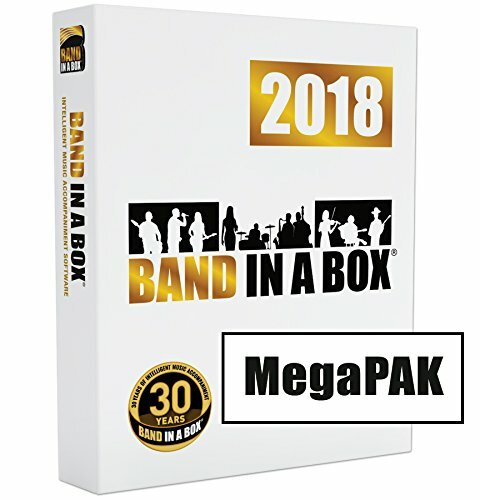 Perfect for musicians, songwriters, and educators - award-winning Band-in-a-Box is the world's premiere auto accompaniment and style-based music creation software. Use it to easily create backing tracks for songs, jam tracks for practicing solos and improvisation, or as a powerful songwriting tool. Just type in some chords (like C, Fm7, or C13b9), choose a style, and Band-in-a-Box automatically creates professional-quality backing tracks with keyboards, bass, drums, guitar, strings, horns, and other instruments. Band-in-a-Box supports a wide variety of popular styles including Rock, Pop, Country, Folk, Celtic, Blues, Jazz, Latin, and Bluegrass styles. You can also create jam tracks using your own Hybrid Styles. 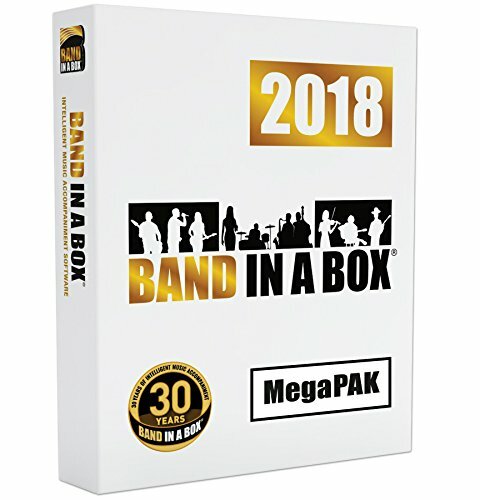 There are over 50 exciting new features in Band-in-a-Box 2018! We are introducing "Video Real Tracks," which work like Real Tracks but also include videos of the musician's performance. We've added a new audio driver system (Windows Audio Session) that has ultra-low latency. The Audio Chord Wizard has been redesigned and is now built into Band-in-a-Box. Audio Harmonies feature has been enhanced with Audio Transcription, which converts a monophonic audio track to MIDI (notation), Fix Tuning to fix an out-of-tune audio recording, and more. You can save the Notation Window to a video in sync with the audio track playback. We've added notation support for time signatures like 12/8, 6/8, 9/8. The Toolbar has been enhanced with skins and more customization. You can open or save ABC notation files, which are very common song files on the internet with chords and melody. Songs can now be saved as MP3 files in high resolution. The Audio Edit Window is redesigned with new GUI and features... and many more! 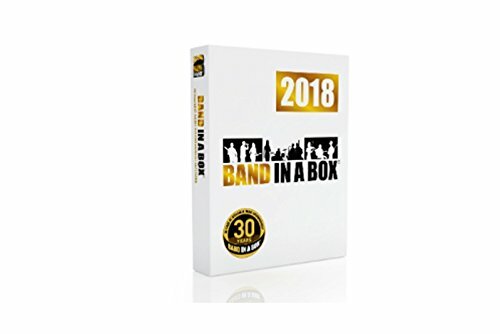 Band-in-a-Box 2018 marks a huge milestone - 30 YEARS OF BAND-IN-A-BOX.